Place cookie dough in freezer at least 1 hour. Heat oven to 350°F. Cut cookie dough into 24 slices. On ungreased cookie sheets, place slices 3 inches apart. 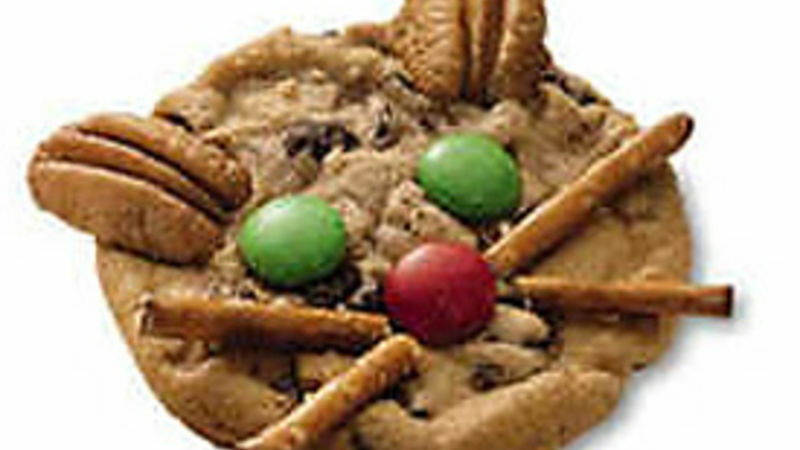 For ears, press 2 pecan halves onto top of each cookie, overlapping edge of cookie. For eyes and nose, press in candy pieces. For whiskers, place 2 pretzel pieces on each side of nose; press in slightly. Bake 11 to 13 minutes or until golden brown. Cool 1 minute; remove from cookie sheets to cooling racks.